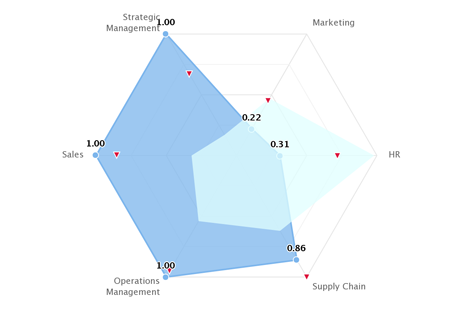 Customer of Simformer Online Assessment receives the detailed profile of candidates’ competencies in visual form with detailed analysis of user’s actions in business simulation. It helps to assess quickly his weak and strong points, knowledge and skills in key business competencies. Such form of personnel distant computerized diagnostics in business simulations allows to significantly cut down efforts and cost of primary assessment. It also considerably reduces human subjectivity factor and gives HR manager relevant and objective metrics of each candidate in a suitable for analysis form. Simformer online assessment is very effective in planning employees’ and students’ training courses, assessment of their progress in competencies development during education. First of all, Simformer online assessment is designed for companies’ HR-departments that regularly search and select candidates for managerial positions, who train and assess the skills of their employees. It is also useful for business schools oriented at practical management skills development among their students and their progress control. The basis of Simformer online assessment is a complex realistic online business-simulation (business game). The participant has to go through it and build a virtual business in order to be assessed. 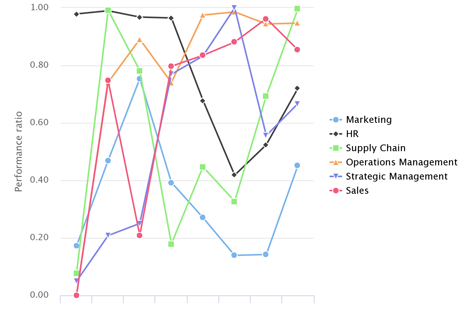 Customer has possibility to choose the most suitable business-simulation scenario. This scenario can be chosen with focus on a specific industry, certain management functions and assessed skills of a candidate. All candidates go through chosen business-simulation online and take a number of managing decisions during the game. 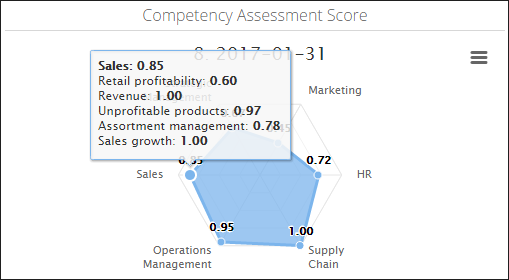 The system estimates manager’s effectiveness in controlling the main business processes and compares it with other candidates’ results. Based on the candidate’s decisions, actions and results, received during business simulation, the system automatically forms informative and illustrative report which is sent to the Customer. comparative group report (in case of group assessment). objective assessment of practical knowledge and skills development dynamics of the companies' employees and business-schools' students during their education and training courses. combination of assessment procedure with exciting game in professional simulator allows the candidates to entirely unlock their human potential to the full extent, and for HR manager to educe the most talented employees.